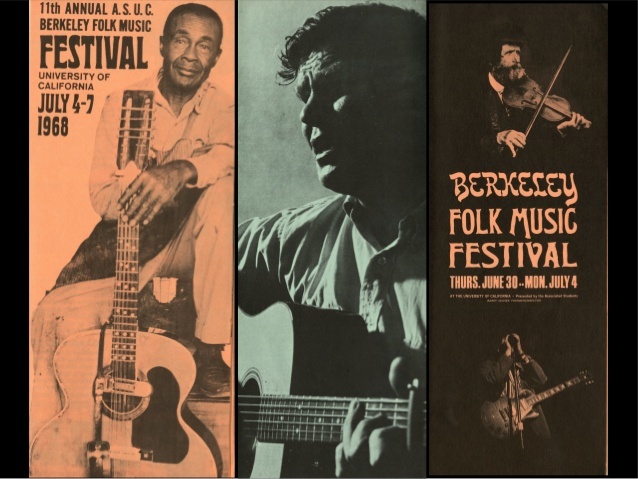 northwestern libraries receive neh grant to digitize the berkeley folk music festival collection. Evanston, IL— Northwestern University Libraries have received a $297,000 grant from the National Endowment for the Humanities to digitize, describe, and make available online their Berkeley Folk Music Festival Archive. The archive, meticulously collected by festival founder Barry Olivier, is a culturally significant trove of more than 36,000 items, including photographs, audio and film recordings, brochures, buttons, posters, tickets, and business records documenting the popular festival between 1957 to 1970. 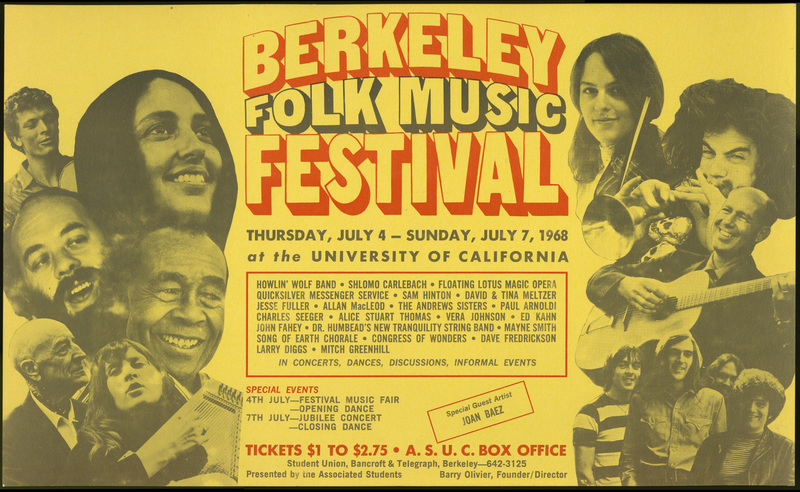 Among the major folk events of the era, the Berkeley festival featured such legendary performers as Joan Baez, Pete Seeger, Howlin’ Wolf, Doc Watson, and more than 200 other musicians and bands. The festival also featured workshops, panels, and lectures that brought together musicians and scholars from diverse backgrounds. Northwestern’s Charles Deering McCormick Library of Special Collections acquired the collection in 1974. The NEH’s Humanities Collections and Reference Resources implementation grant will make the festival archive publically available online, so scholars across the humanities will be able to explore aspects of race, class, gender, and politics as expressed in the music of 1960s America. Krafft said he believes the multifaceted archive will have a valuable impact on the fields of history, American studies, music studies and performance, African American studies, digital humanities, and political science. One Northwestern faculty member who already uses the collection regularly is history professor Michael Kramer, whose “Digitizing Folk Music History” undergraduate research seminar explores American culture, politics, and Cold War attitudes through the lens of the folk revival of the 1960s. With the support of Josh Honn, the Libraries’ digital humanities librarian, Kramer’s students have participated in the digitization and curation of parts of the collection, creating a variety of digital projects from their work. The Northwestern Libraries have an extensive history digitizing collections, but an archive of this size is one of the largest projects yet undertaken, said Carolyn Caizzi, head of Repository and Digital Curation at the Libraries. The three-year project will call upon staff from at least six different departments at some level. The grant also strengthens Northwestern Libraries as a leader in documenting the history and culture of the 1960s. Besides archives of the Berkeley Folk Music Festival and Free Speech Movement, Northwestern is home to an extraordinary range of other unique research materials that document worldwide change during the 1960s—from the experimental music of John Cage and Charlotte Moorman, to the impact of the Beatles, to the struggle of American women for equality, to independence in Africa, to student protests on Northwestern’s own campus, and more. The NEH regularly makes grants dedicated to supporting research, education, preservation, and public programs in the humanities. In a statement announcing this and 207 other grants totaling $21.7 million, NEH chairman William D. Adams said such projects preserve American history and acquaint people more deeply with cultural and political traditions. “NEH grants matter in the many communities we serve around the country — in preserving cultural heritage, supporting local cultural organizations, and helping teachers teach and students learn,” he wrote. Northwestern University Libraries serve the Evanston, Chicago, and Qatar campuses by providing access to more than 6 million books; 3.5 linear miles of manuscripts, archives and unique materials; and tens of thousands of journals, databases, and periodicals. Their distinctive holdings include the Charles Deering McCormick Library of Special Collections, which houses more than 250,000 rare materials ranging from Mesopotamian tablets to its Femina collection, one of the largest second-wave feminism collections in the country; the Melville J. Herskovits Library of African Studies, the largest collection of materials relating to Africa in the world; and the Music Library, which is recognized internationally for its commitment to 20th and 21st century classical music. For more information, contact Clare Roccaforte, director of Marketing and Communication, Northwestern University Libraries, at (847) 467 5918, or c-roccaforte@northwestern.edu.